Before he became a winemaker, Summerland-based Tyler Harlton played eight seasons of professional hockey and seldom had more than 60 penalty minutes a season. Everyone who meets this laid-back artisan is surprised his penalty minutes were even that high. He is as gentle a personality as you will find in the Okanagan wine industry. And he hangs out with other artisanal winemakers. In June, TH Wines, as he calls his winery, joined five other small wineries for an informal tasting in Vancouver. They should consider keeping this league together. Their personalities and winemaking styles are quite complimentary. TH Wines is one of the smaller of these producers, making just 1,100 cases in 2013. The winery was established three years ago in quarters that Tyler rented in an industrial park in Summerland. His business model calls for spending money on buying grapes and getting the brand established before tying up capital in a vineyard or in a fancy building. He opened a modest tasting room this year for the first time. He may be operating on a shoestring but that is not reflected in to quality of the wines. These are notes on the wines. TH Wines By Hand White 2013 ($19.99 for 468 cases). The name of this wine is inspired by the new labels – the image of two hands on a wine barrel. They are Tyler’s hands and the image underlines the artisanal approach here. This wine is 84% Chardonnay, 16% Sauvignon Blanc. It is a richly textured wine with flavours of pear and apple mingled with herbs. The finish lingers. 90. Th Wines Viognier 2013 ($N/A). This is a classic Viognier, with a creamy texture and with apricot and peach aromas and flavours. The finish lasts and lasts. 90. TH Wines Rosé 2013 ($21.99 for 119 cases). This is made with Merlot with a splash of Malbec and Chardonnay. It has aromas and flavours of apples and strawberries. The texture is generous and the finish is dry. 89. TH Wines Pinot Noir 2012 ($29.99 for 270 cases). This is an utterly seductive Pinot Noir. The silky texture and the pretty aromas and flavours of strawberry and cherry make this a charming wine with a finish that lingers. 91. TH Wines Cabernet Merlot 2012 ($34.99 for 306 cases.) The blend here is two-thirds Cabernet Franc, a varietal that Tyler favours. The other third is Merlot and Malbec. The wine has brambly flavours of blackberry and cherry on a foundation of earthy notes and long ripe tannins. 90. 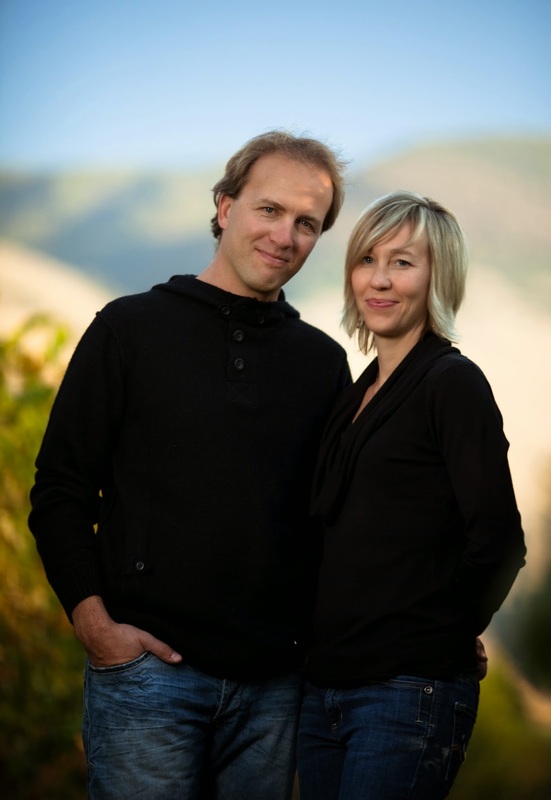 Tyler’s friends include Little Farm Winery, the Cawston boutique operated by wine educator Rhys Pender MW and his winemaker wife, Alishan Driediger (left). They moved to this property in 2008, planting a four-acre vineyard of Chardonnay and Riesling. Little Farm may well be the smallest licensed winery (or close to it) in the Similkameen and Okanagan. Production in 2013 totalled 353 cases, with the target at full production being 800 cases. Little Farm Chardonnay 2013 ($29.90 for 68 cases). Crisp and refreshing and reminiscent of Chablis, this wine has delicate citrus aromas and flavours of grapefruit and green apple. 88. Little Farm Riesling 2013 ($29.90 for 115 cases). In the style of German Riesling, this wine spent some time in neutral oak barrels, gaining texture and softening the bracing acidity. The wine has citrus aromas and tangy citrus flavours wrapped around a nice spine of minerals. The finish is dry. 90. Little Farm Rosé 2013 ($24.90 for 170 cases). This is made with Cabernet Franc and it displays the vivacity of the varietal. There are aromas and flavours of strawberry and raspberry, with notes of herbs and pepper on the dry finish. 90. Also in Tyler’s circle is Orofino Vineyards, also of Cawston. John and Virginia Weber (right) moved from Saskatchewan in 2001 to take over a six-acre vineyard and, within a few years, become accomplished wine growers. Earlier in July, they hosted vertical tastings of their wines, reaching as far back as a 2003 Pinot Noir and a 2003 Cabernet-Merlot. They have not chosen to stay small even if there is great artisanal style in the winemaking. Orofino now is making about 4,500 cases a year. Orofino Hendsbee Vineyard Riesling 2013 ($22 for 600 cases). Here is a polished and refined Riesling, with aromas and flavours of lime around a spine of minerals. The wine is crisply tangy and dry with good potential to age. 91. Orofino Home Vineyard Old Vines Riesling 2013 ($29 for 100 cases). Most of this was fermented in old barrels; two barrels were fermented with wild yeast for additional complexity. The racy acidity is nicely balanced with residual sugar. There are aromas and flavours of lime and grapefruit around a mineral core. The finish is tangy. 90. Orofino Scout Vineyard Riesling 2013 ($22 for 350 cases). A touch more residual sugar brings out aromas and flavours of lime, apple and peach. The texture is juicy. 90. Orofino Home Vineyard Pinot Noir 2012 ($32). The wine begins with aromas of cherries mingling with the toasty notes from the barrels. On the palate, there are flavours of cherry and strawberry with a touch of mocha on the finish. 90. Orofino Red Bridge Merlot 2011 ($25). This is the only wine in Orofino’s portfolio not made with Similkameen fruit. The Merlot grapes come from the Oak Knoll Vineyard in Kaleden. This is a very quaffable Merlot (a gold medal winner at the All Canadian Wine Awards) with aromas and flavours of black currant and blueberry. 88. Orofino Beleza 2011 ($34). This is the winery’s flagship Bordeaux blend, comprising 50% Merlot, 30% Cabernet Sauvignon, 10% Petit Verdot and 10% Cabernet Franc. Dark in colour, the wine has a ripe, concentrated texture. There are aromas and flavours of black currant, black cherry and mulberry nicely framed with oak from the 20 months aging in French and American oak barrels. It is a sophisticated wine with the potential to age easily for another five to seven years. 93. Terravista Vineyards is a 1,700-case boutique making just white wine. There is a delicious irony in that. The owners are Paul and Senka Tennant, one of the couples that founded the Black Hills winery where the star was a red wine called Nota Bene. When the Tennants established a new winery in 2008 on the Naramata Bench, Senka (left) decided she did not want to go on making red wine. They really differentiated Terravista by planting Albariño and Verdejo, two Spanish whites new to Okanagan vineyards. The blend from these is called Fandango. A blend of Rhone varieties, made with purchased grapes, is called Figaro. The winery’s tasting room high on the Naramata Bench offers one of the best views over the entire region. Terravista Fandango 2013 ($24.90). The wine is 70% Albariño and 30% Verdejo. Crisp and fresh, the wine has aromas and flavours of melons and green apples. This is a wine worth aging for a year or two. The 2012 Fandango has developed hints of hazelnut to enhance the complexity. 90. Terravista Figaro 2012 ($23.90). This is a blend of Roussanne, Viognier, and Marsanne. Glorious tropical fruit aromas charge from the glass. The wine is full on the palate, with flavours of apricot and peach. 90. Terravista Viognier 2013 ($17.90). This is new to the portfolio, probably because the winery ended up with more Viognier than it needed for blending. The wine is crisp and fresh, with aromas and flavours of citrus and peach. 89. Bill Eggert (right), the owner of Fairview Cellars, has been a fixture in Okanagan winegrowing longer than most of the other six. He opened the winery, based on a six-acre vineyard, in 2000. His focus has been Bordeaux varietals although he planted a small Pinot Noir vineyard a few years ago. I sometimes wonder whether Bill is best described as salt of the earth, or just plain salty. However, the wines are as forthright as the winemaker. Fairview Cellars Sauvignon Blanc 2013 ($19.90). This vibrant and tangy white has aromas and flavours of lime and grapefruit, with herbal notes on the dry finish. 90. Fairview Cellars Pinot Noir 2012 ($24.90). This is another charmer, with aromas and flavours of strawberries and red cherries, supported subtly by hints of oak. The texture is silky. 90. Fairview Cellars Madcap Red 2011 ($24.90 for 300 cases). This blend is based on Merlot, with 25% Cabernet Sauvignon and 10% Cabernet Franc. It begins with aromas of mint and cassis. On the palate, there are flavours of black currant. The tannins are ripe. 90. Fairview Cellars Cabernet Franc 2012 ($29.95). The winery has made a name for itself with Cabernet Franc and this is an exuberant example. It brims with aromas and flavours of blackberry, black currant and blueberry. 90-91. Fairview Cellars The Bear 2011 ($34.90 for 300 cases). This is a Meritage with all five of the major Bordeaux reds. The Cabernet Sauvignon in the blend seems to have contributed slight notes of mint to the aroma and the flavour, turbo charging the spicy cherry and black currant flavours. 91. Fairview Cellars Cabernet Sauvignon Premier Series 2011 ($39). Fourteen months barrel-aging has given this wine a not of vanilla in the aroma, complementing the black cherry. The wine has a rich palate weight, with flavours of black currant, black cherry and dark chocolate. 91. Fairview Cellars Iconoclast 2009 ($119.90). This wine is also 100% Cabernet Sauvignon but it spent 27 months in barrel (new and used). The wine is rich on the palate, with depth and complexity. There is vanilla and cassis on the nose, leading to flavours of black currant, prune, cola and coffee. 93. Robert Van Westen (left), who runs Van Westen Vineyards near Naramata, comes by his salt of the earth personality naturally. His family has been growing fruit, mostly cherries, on the Naramata Bench since his parents immigrated from Holland in 1951. The winery has taken over a former fruit packing house. Robert runs the tasting room, when it is open, with a warm informality. He also delivers his wine personally to many of his customers. When he can’t do it, he has a sister in Vancouver who will also deliver. Van Westen Viognier 2012 ($N/A). This is voluptuous in texture, with aromas and flavours of citrus and apricot, with subtle spice on the finish. 90. Van Westen Vino Grigio 2012 ($19.90 for 530 cases). This is a refreshing, crisp Pinot Gris with aromas of citrus and flavours of citrus, pear and apple. 90. Van Westen Vivacious 2013 ($19.90). This is a crisp Pinot Blanc, with aromas and flavours of apples, with a hint of citrus. 90. Van Westen/DiBello Pinot Noir 2012 ($34.90 for 125 cases). The VD on the label reflects that this is a joint venture wine made by Rob and by Tom DiBello. It begins with aromas of toasty red fruit, leading to flavours of cherry. The firm texture suggests this is a Pinot Noir that should be aged a few more years. 89. Van Westen Vivre La Vie 2010 ($29.90). This is a Merlot with a concentrated texture. It has aromas and flavours of blueberry, mulberry and blackberry with a peppery note on the finish. 90.